The Nasal Helm was originally designed in the early 9th century, but soon evolved into its own. 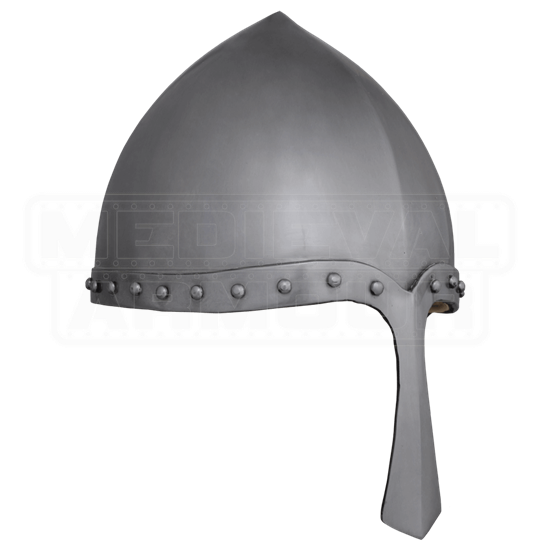 It was the most plentiful helmet used in the early middle ages, and was used well into the late middle ages as well. 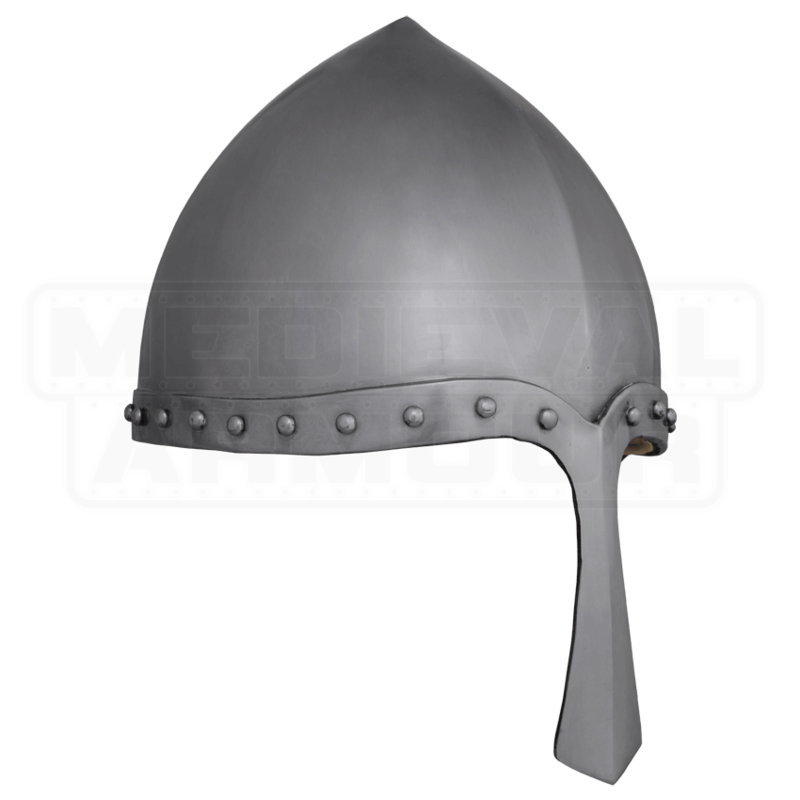 Though originally used as complete protection, it was later paired with a great helm or barrel helm so that when the heavier was removed it would provide protection. It is was also commonly used by archers, as it gave great visibility and mobility.